The Flower Ave Garden had it’s first official volunteer today. Ken is a Los Angelian via Montana. Ken heard about the Flower Ave Garden through a mutual friend and contacted me to come check it out. It was great to have the help and share some knowledge. It’s a 50/50 mix that is sprinkled in the ground and covered with a light layer of dirt. 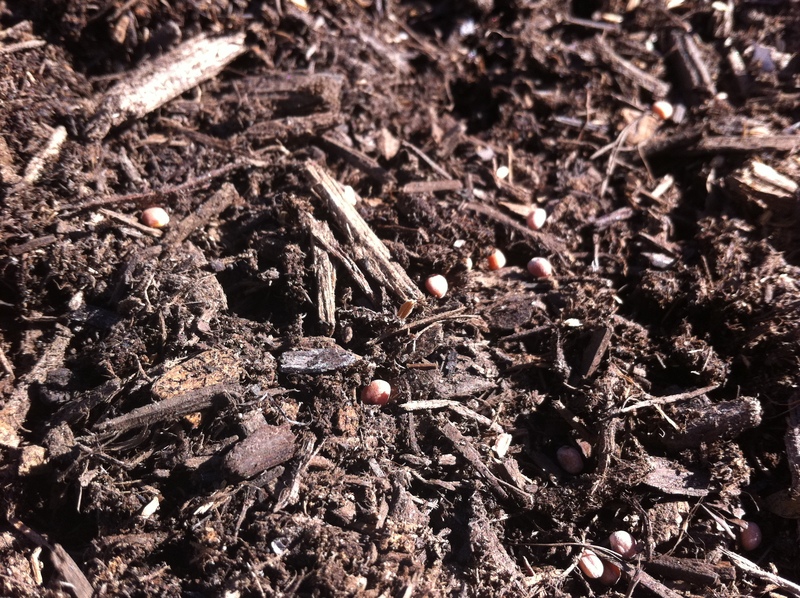 The radish grow at a faster rate than the carrots and will be ready for harvest sooner. The radish also create good spacing between the carrots. Because space is a factor with urban farming, companion planting is a must. Next Post Flower Ave Garden Project: Welcome To The Family Alma!